As the unofficial start to summer, Memorial Day is a great excuse to get outdoors. But whether you’re partying, barbecuing, or just soaking up some rays, it’s important to keep your pet’s safety in mind at all times. To prevent any Memorial Day mishaps, we’ve put together some tips to help protect animals during the “Dog Days” of the season. 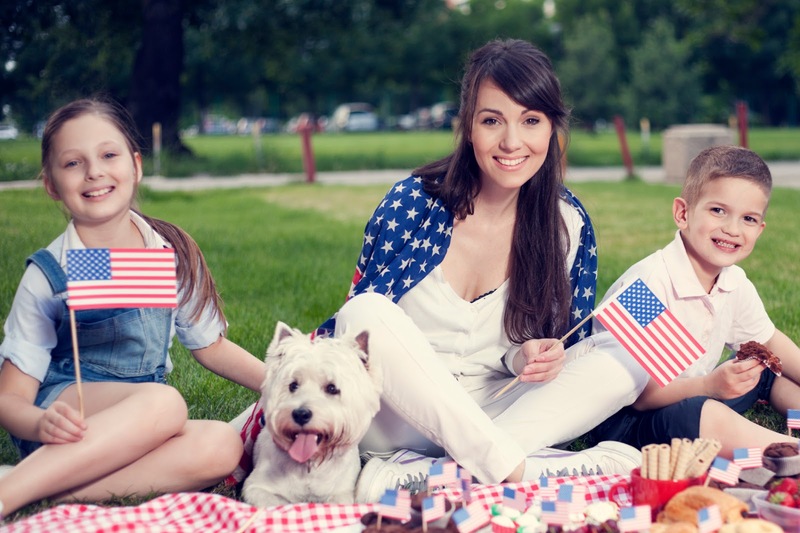 Barbecuing is one of the best parts of Memorial Day, but remember that the food and drink you serve your guests may be poisonous to pets. Keep alcoholic beverages away from animals, and remind guests not to give them any table scraps or snacks. Raisins, grapes, onions, chocolate, and avocado are all common at barbecues—and they’re all especially toxic to animals. Unless specifically designed for animals, insect repellent and sunscreen can be toxic to pets. Signs of repellent toxicity include drooling, vomiting, diarrhea, excessive thirst, and lethargy. DEET, a common insecticide in products for humans, may cause neurological issues in dogs. Pets can get dehydrated quickly, so if you’re spending time outside, give them plenty of fresh, clean water and make sure they have a shady place to get out of the sun. Note that animals with flat faces, like Pugs and Persian cats, are more susceptible to heat stroke since they cannot pant as effectively. These pets, along with the elderly, the overweight, and those with heart or lung diseases, should be kept cool in air-conditioned rooms as much as possible. IDs, Please Time spent outdoors comes with the added risk of pets escaping. Make sure that your pet is fitted with a microchip or ID tag with identifying information, or both. It’s always better to be safe than sorry. Holiday Everyone loves a Memorial Day barbecue, but for those who eat meat, eggs or dairy, avoiding the worst factory-farmed products can be tricky.